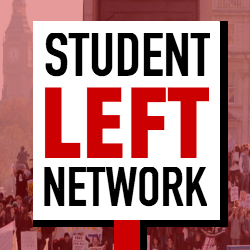 Against Prevent – For the Right to Organise, Protest and Speak on Campus! By University of Reading Communist and Anarchist Society Students at the University of Reading have been told to take care when reading an essay by the late Professor Norman Geras, in order to avoid falling foul of Prevent. An academic journal has been flagged as sensitive under the Prevent programme, and the University has warned … Continue reading Against Prevent – For the Right to Organise, Protest and Speak on Campus!